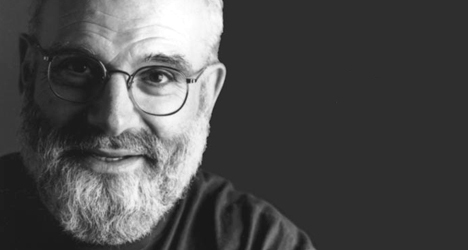 Oliver Sacks’ most recent book ‘The Mind’s Eye’ looks at the curious relationship between your brain and your eyes. He follows the patient Sue, who was born stereo-blind (that is, without binocular vision which is necessary to construct a sense of depth). Born cross-eyed she had surgery at ages 2 and 7 buy was told there were no corrective exercises that would be done to help her gain a 3D vision of the world. In her 40’s, with the help of a developmental optometrist, she decided to try corrective exercises anyway and realised her 3D vision was able to be activated, suddenly seeing the steering wheel and doors “popping out” into the world once the binocular cells in her brain were activated to see the world this way. Without exercises however, this ability faded and she lost her 3D vision, demonstrating the incredible elasticity of the brain’s capacities. I’m sorry – who are you again? 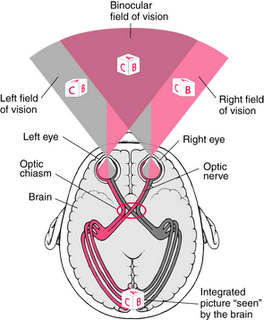 The fusiform face area (FFA) is a part of the human visual system which might be specialized for facial recognition, although there is some evidence that it also processes categorical information about other objects, particularly familiar ones. Good news! That horrible feeling when you cannot, for the life of you, recognise that person enthusiastically greeting you like a long-lost friend, actually has a name – Prosopagnosia – or face-blindness. More than that, it’s a fairly common thing. Up to 2% of the US population – that’s 6 million people – can’t quite recognise their husbands, children, wives, teachers and colleagues, but this strange impediment isn’t even a household name. Recognition depends on knowledge; familiarity is based on feeling, and thus has an entirely different neural base including the amygdala and hippocampi which store memory and emotion. Prosopagnosia comes in the form of the “hyper-familiar” – people who greet strangers at the bus stop enthusiastically feeling them know them, while also realising they don’t quite know where they know them from, if they know them at all. The opposite is type Capgras syndrom, definitely the sadder of the two, where someone recognises a face but has no emotional memory of them – thus the Capgras patient will argue that the person (eg their daughter or son) cannot be the real thing – they must be imposters or counterfeits. 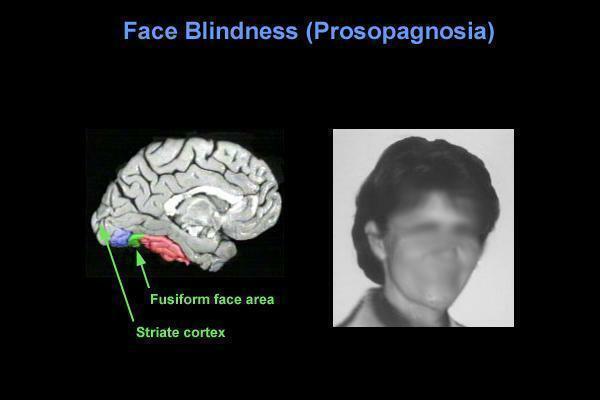 According to case studies, Prosopagnosia seems hereditary. But with practice, the brain can be trained to remember people’s faces highlighting the plasticity of neural circuits adapting to create new memories… so there is hope for all those yet who can’t remember people’s faces!